A trip to Jakarta will open doors to a exciting, delightful chaos that offers the very best of Indonesia. Whether you find yourself among tall, sleek skyscrapers of the city’s thriving upscale neighborhoods or in the buzzing flea market downtown, it is undisputable that a visit to Jakarta will amaze you and leave you wanting more. Taman Mini Indonesia Inah is a 250-acre park in east Jakarta that showcases the cultural and natural beauty of the entire archipelago in one single space. It is a great place to visit if you’re a first time traveler to Indonesia. As the largest mosque in Southeast Asia, the Istiqlal Mosque is one of the sights not to be missed while in Jakarta. The visitors are allowed into the mosque outside of prayer times. The National Museum was constructed in the 19th century, and today is hosts a plethora of works that illustrate the richness of Indonesian arts and culture throughout the history. Located in the heart of the city, Monas (the National Monument) is a symbol of Jakarta that commemorates the struggle for Indonesian independence. This is also one of the top things to do in Jakarta. Traffic in Jakarta is known to be notoriously chaotic, which can sometimes cause difficulties in getting around. The most extensive means of public transport is the TransJakarta Busway, a bus service that operates 13 lines. Taxis are also a convenient form of transport for tourists because of their reliability and cost-effectiveness. Transportation apps, both international and local, are also increasingly popular. 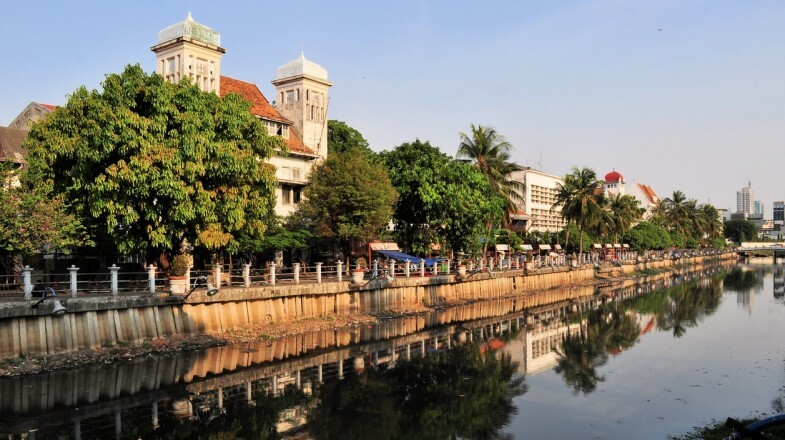 Menteng is a thriving suburb that is ideal for checking out some of Jakarta’s hidden treasures, such as cozy coffee shops, chic markets and serene public parks. If you feel like Jakarta’s congested traffic and loud noise is starting to get the best of you, head over to the Thousand Islands. This beautiful beach getaway is only a boat ride away and can be a perfect place to tune out and detox from the city’s accelerated pace. If you want a quick getaway from the city life then escape to the Thousands Islands. These a cluster of small islands famous for scuba diving and snorkeling. You don't need to go to Bali to enjoy some beach fun.